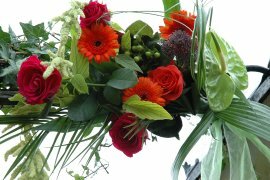 Your favourite local florist is celebrating 20 years of serving the local community with flowers for every occasion. Give us a ring with your order or pop in and meet Alison and her freindly staff who will cater for your every need. Voted "Axminster Business of the Year 2006"